Hampden real estate lies, northwest of the Cherry Creek Reservoir, in the far southeast portion of the Denver Metropolitan area, with East Cornell Avenue to East Girard Avenue and from South Geneva Street to Ulster Court, as its borders. Adjacent to major golf courses and country clubs, including John F. Kennedy, Meadow Hills, Heather Gardens, and Los Verdes, the area is rich with shopping and entertainment venues that all serve to enhance the quality of life in this quiet, progressive neighborhood. 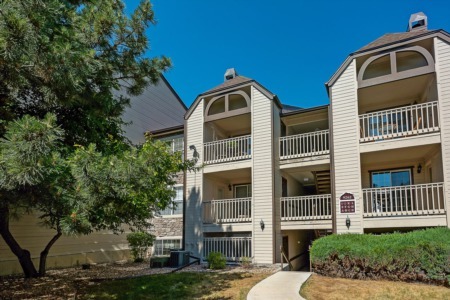 Centrally located in Southeast Denver, Hampden real estate provides good variety spacious living units, with amenities to match. Conveniently located 15 minutes from Downtown Denver many of the homes here were built during the 1970’s when good wood, and larger yards were integral to the design of new homes. Recently, a spate of renovation and remodeling has taken place with many of the private residences, and on a larger scale the city of Denver has undertaken a major redevelopment project ahead of the new light rail service scheduled to traverse the community.